It would be fair to say that Violin Systems (the former Violin Memory) has had a turbulent existence. Once the darling of the industry, Violin missed the all-flash evolution and fell on hard times, going bust and returning with new investors. Last year the new CEO stepped down to be replaced by Mark Lewis, previously of EMC. So what’s changed in the strategy, if anything? 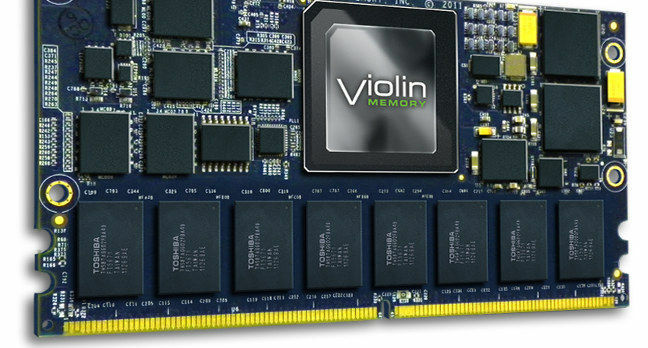 Violin Memory was without a doubt one of the pioneers of the all-flash storage market. The company took the approach of building custom flash modules called VIMMs, each of which contains a dedicated controller, management processor, DRAM and NAND flash. Put 64 of them into an array, connected to the Violin Switched Fabric (vXF) with custom FPGAs and you have a platform that delivers a highly efficient global Flash Translation Layer across around 8000 individual flash die. As a piece of technology for the time, the Violin platform was a leader. It offered systems with low-latency and consistent performance – but lacked data management features. Eventually the technology gained the features needed, arguably too late for a market that had already moved on. Just under 12 months ago, we looked at where Violin was headed in a blog post and podcast interview with then CEO Ebrahim Abassi. There seemed to be great plans afoot for the company, with new products in the pipeline, some of which were allegedly set to challenge the existing market incumbents. Fast forward to today and Mr Abbasi has since stepped down as CEO due to ill health (as already mentioned). 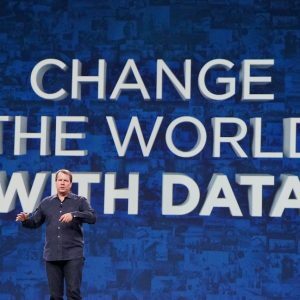 So at this year’s Flash Memory Summit (2018) in Santa Clara, I spoke to new CEO Mark Lewis about where the company was headed. Age – the flagship FSP platform is at least two years old and doesn’t appear to have had any updates since that time. This means Violin is still using MLC technology when the industry is already transitioning to TLC (with QLC on the horizon). Architecture – The FSP platform has never offered tiering or multi-capacity VIMMs (e.g. large versus small). Scaling has been achieved with an external appliance. 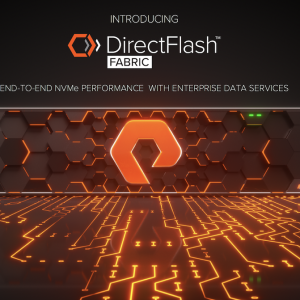 Multi-tier systems are set to become a key feature of all-flash architectures, as diversity of flash and SCM products allows better price/performance management. Custom VIMMs provide Violin an advantage but require partnership in the market with NAND vendors. That relationship used to exist, but is it there today? Is Violin working on new VIMM designs? Ecosystem – Violin doesn’t offer solution stacks, compared to the likes of HPE, Dell EMC or Pure Storage. Take the latter as an example; Pure has huge amounts of collateral that focuses on vVOL integration, CLI support, container support and automation, making it easier for customers to integrate into their environments. They are also now focusing on ML/AI. Where is Violin on this? 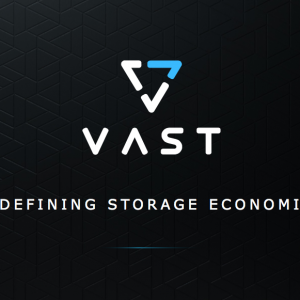 Market Opportunity – Mr Lewis indicated Violin will focus on the niche tier 0 block storage part of the market for applications such as high-performance databases. This isn’t a growth market, while at the same time the competition for super-high performance is only increasing. At FMS there were easily a dozen competitors with solutions able to get down as low as 200µs (or less). At this point in time, I’ve not seen any roadmap or plans for future products. Technology wasn’t even discussed during our conversation. Dave Raffo at TechTarget obtained more information than me though, indicating that an NVMe-fronted product may be due in September this year. Personally, I don’t see how Violin has any chance in making it in such a competitive market. 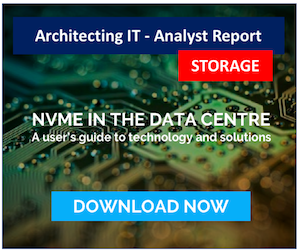 The investment needed to compete in today’s market, both from a marketing and technology standpoint doesn’t seem to be justified for technology that wasn’t designed in the age of NVMe. Yes, I realise that theoretically Violin doesn’t need NVMe because they have a custom solution, but don’t forget that IBM said the same thing less than 12 months ago (see the following video). However, Mr Lewis feels confident that Violin Systems still has a competitive edge in the market and that customers will be prepared to pay for their storage offerings. With that in mind, I’d recommend re-watching the following Tech Field Day video from September 2015, when the team at the time continued to push the message of how superior the Violin technology was. Violin Memory Architecture Overview with Andrew Chen from Stephen Foskett on Vimeo. We’ve had three years of market innovation since then, so if Violin wasn’t successful with the technology three years ago, why should we think they will be successful with the same technology now? Copyright (c) 2007-2018 – Post #EEB1 – Brookend Ltd, first published on https://blog.architecting.it, do not reproduce without permission. Photo credit iStock.